As you can see from the very close up image above, I am reviewing a Goody Product for you today. I love the Goody line and recommend so many of their products. The one I’m reviewing today is the Stay Put Hold Headband. 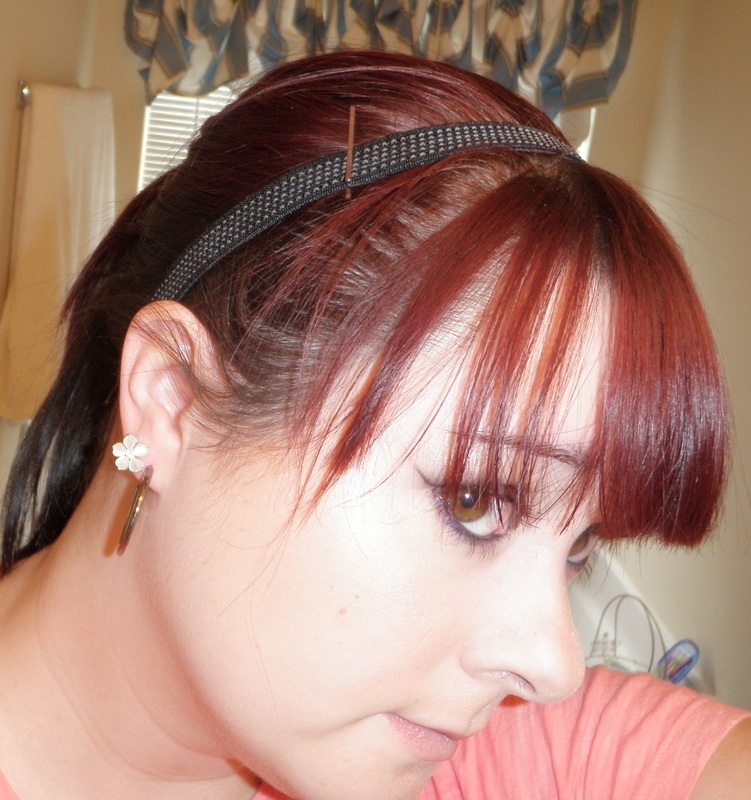 I love this because I love wrap style headbands but they always slide off my head so fast, even with bobby pins. This headband stays the whole day for me, no problem. It doesn’t give me a headache and it looks great on. 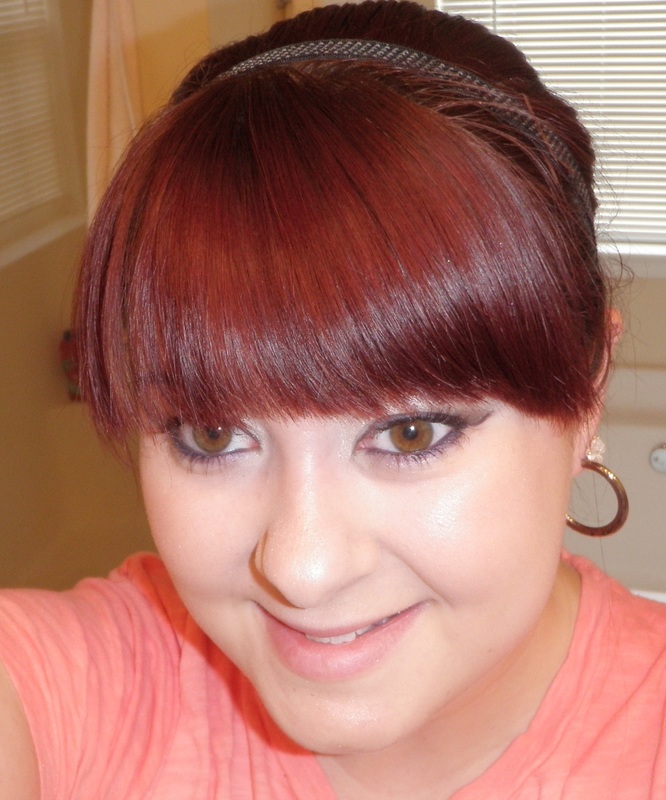 These are so versatile because they can be worn while your hair is down or up; with bangs or without. Continue reading for the review and pictures….. These headbands come in neutral colors like black and brown. 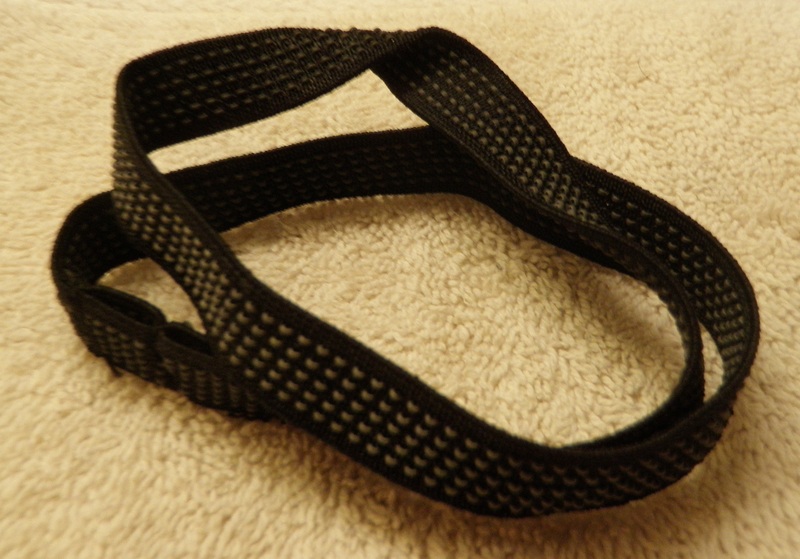 They have a rubberized ribbing on each side which functions to keep the headband from slipping (pictures below). They have elasticity to them which allows them to expand to the shape of your head. They are not wide and not skinny but somewhere in between. Ribbing on the headband. The gray ribbing feels like rubber and grips your hair. As I said in the introduction, it’s very hard for me to find a headband that will stick to my hair. This headband is my goto headband, in fact, I’d call it my holy grail headband because I can count on it staying all day long. I do use a few mini bobby pins to hold it in place but keep in mind that this same amount of bobby pins with other headbands would still spell disaster. I can wear this headband with my hair down without the bobby pins as the length of my hair is enough to weigh it down. I also have trouble with headbands giving me headaches. This headband doesn’t give me any headaches and I wear them frequently. So, if you’re headache prone, I would recommend checking this out. I really like wearing this with my hair in a ponytail and the pictures below will illustrate this. This is my favorite way to wear the headband – with a ponytail. Love it! The headband as viewed from above. 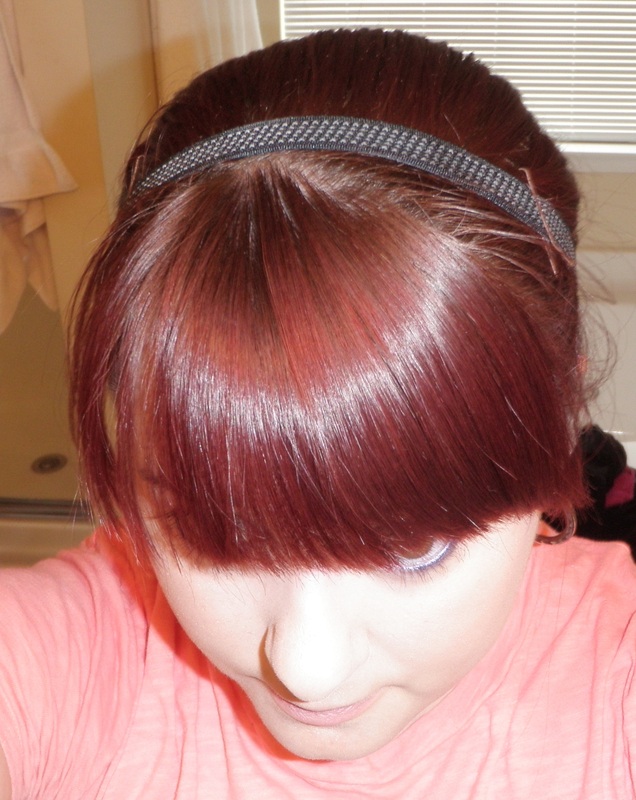 As you can see, I like to wear the headband close to my bangs and it stays that way all day. Stay Put Headband as viewed from the side. I definitely recommend this line of headbands especially if you’ve sworn them off due to headaches or slippage. I wear this headband almost exclusively. I would love to see Goody roll out new colors in this line, as I would run out and grab those too. I bought my set of headbands from Big Lots but you can find these at target, walmart, and drugstores. You can also find more information on the Goody Website. Posted on July 26, 2011, in Hair, Reviews and tagged accessories, band, goody, hair, head, hold, pictures, review, stay put. Bookmark the permalink. 2 Comments. I use these for some of my hair bows and I referenced your review! I love this headband as well. I’ve been looking for them but can’t find anymore. It’s perfect. I bought the large size one but it doesn’t do it for me like the mid size showing in your picture. I even went to Goody’s website for it. Where do you get your supply?